Select Option 10 Fr. 12 Fr. 14 Fr. 16 Fr. 18 Fr. 20 Fr. 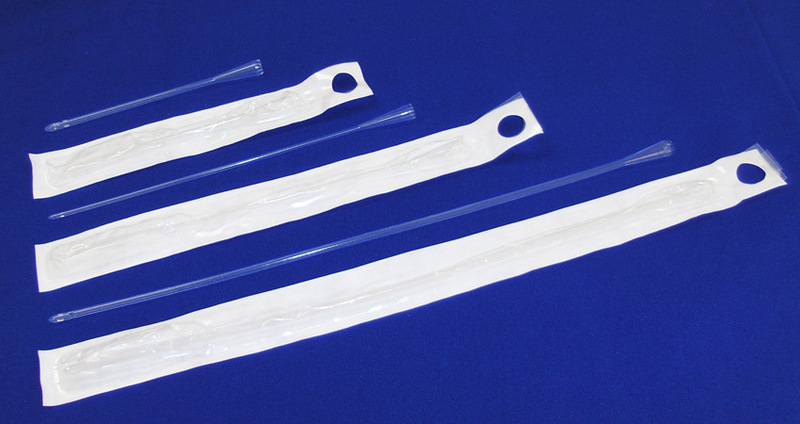 Magic 3 catheters are the first intermittent catheter for both men and women designed with 3 unique all-silicone layers. Each layer helps make the catheter more comfortable, easy, and reliable. The 100% silicone design eliminates the allergy, toxin, and disposal concerns common with PVC and latex catheters. Extra soft outer layer for comfort - soft silicone surface reduces injuries and trauma to the urethral tissue. Firm middle layer - The perfect firmness to make insertion and handling easy. Pliable inner layer for navigation - The core resists kinking while assuring the catheter gets to the bladder without unnecessary force. Size: 16 in. Length. Choose a size above from 10 - 20 Fr. Catheter Size 10 Fr.,12 Fr.,14 Fr.,16 Fr.,18 Fr.,20 Fr. This catheter design is the least irritating of all catheters I used. It is highly flexible but still stiff enough to not kink during insertion.